They had to first write all the html to display it! 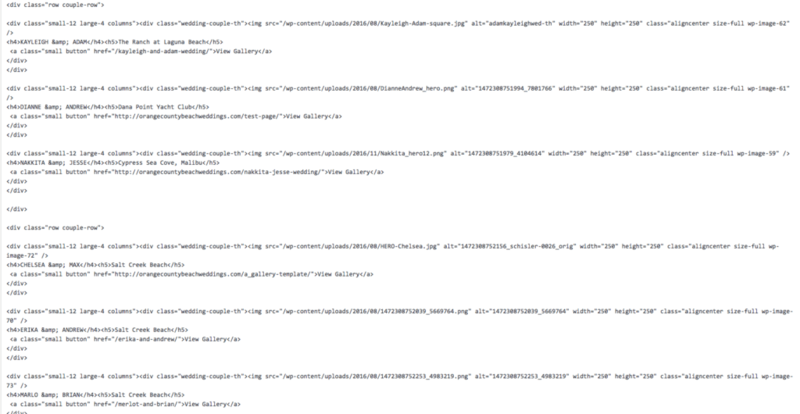 They had to do this for the gallery list page and the actual single gallery page. That’s a lot of work! 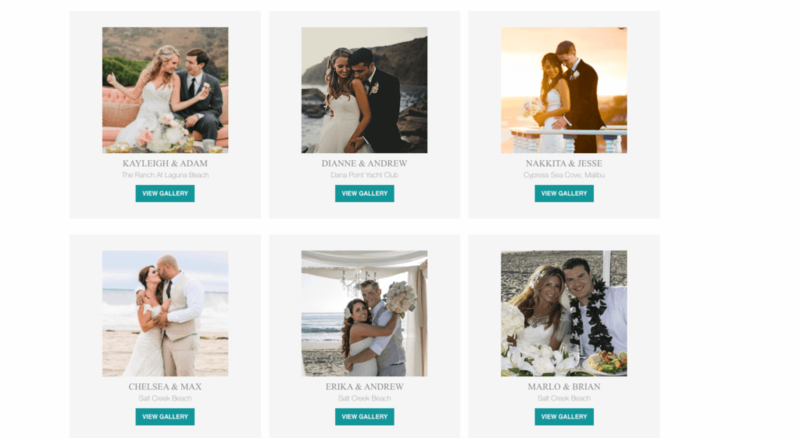 I can only imagine it took hours to code the gallery and the archive of these beautiful weddings. They needed a fix. I then created a template in PHP, HTML and CSS to display the gallery photos. They now loop through the photos they add in the organized back-end editor and display them as they had been done by hand before. 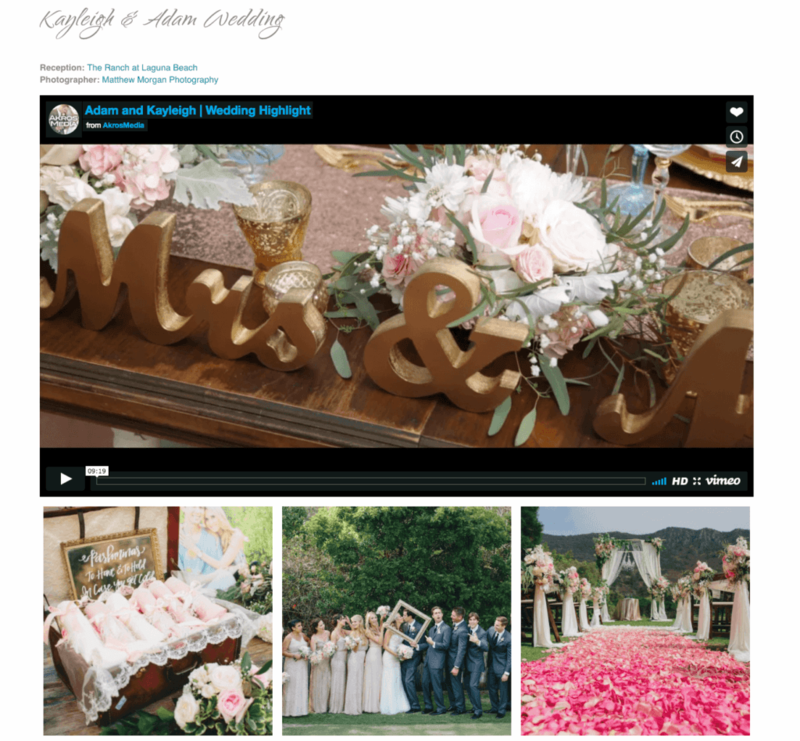 Now they can SEE the photos in their gallery, add them with the media handler, order them with a drag and drop, and add video to the top of the page and do it without writing any code. 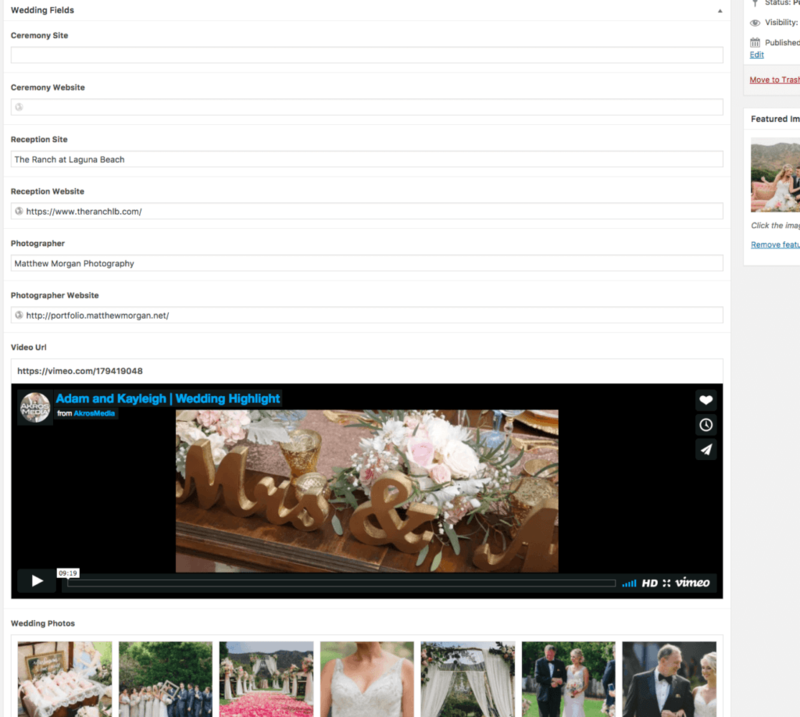 The gallery of each wedding dynamically appears on the gallery list page and dynamically flows into the gallery page. I know they would spend way too long adding galleries to their site and they are super busy people. Running a successful business takes time and dedication and when you can simplify your process, you are saving yourself money and headache. I love fixing these kinds of things! Now they can spend more time on creating magical and special weddings and events. And browse those events, they are amazing!